To meet the skyrocketing demand for Dianetics and Scientology services and social betterment programs throughout the world, and utilizing the technological advances of the 21st century, Mr. Miscavige launched the Ideal Org (short for “organization”) strategy to transform all Scientology Churches into Ideal Churches and accomplish the goal L. Ron Hubbard set for Scientologists—to one day create Churches that were the physical embodiment of Scientology technology to help all beings attain spiritual freedom. An Ideal Org is a Church configured to provide the full services of the Scientology religion to its parishioners and to the community. “Ideal” encompasses both the physical facilities and the types of services ministered to parishioners and the community. These Churches house extensive public information multimedia displays describing all aspects of Dianetics and Scientology, Founder L. Ron Hubbard, and the Church's social betterment and community outreach programs. Religious services are provided in distraction-free and aesthetic course rooms and spiritual counseling rooms. There are also libraries, bookstores, film and seminar rooms and expansive Chapels for Sunday services, weddings, naming ceremonies and other congregational gatherings. Since 2003 over fifty Ideal Churches have arisen across the planet, including those in the world's cultural capitals—the National Church of Scientology of Spain in Madrid's Neighborhood of Letters; the Church of Scientology of New York, just off Times Square; the Church of Scientology of San Francisco, California, in the original historic Transamerica Building; the Church of Scientology of London, England, located in the epicenter of the city; the Church of Scientology of Berlin, Germany, near the Brandenburg Gate; and the Church of Scientology of Moscow, Russia, located just a short distance from the Kremlin and Red Square. Over thirty new Churches have been opened just since 2009. Another 60 Churches are in design, planning or construction phases, including over a quarter of a million square feet under construction. 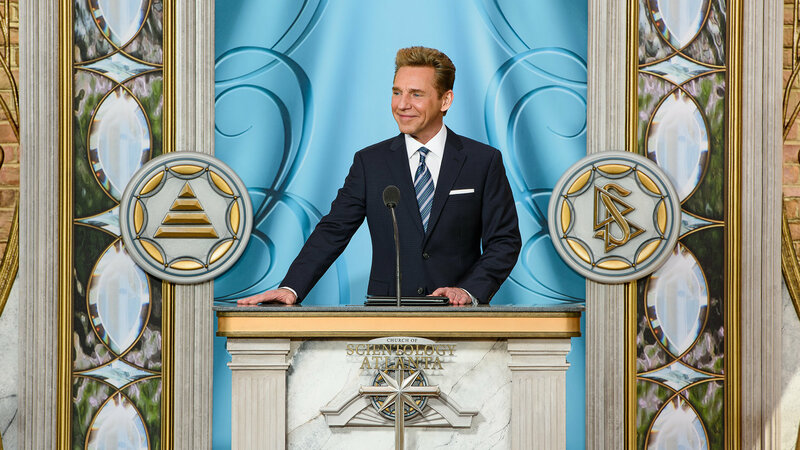 These are the Ideal Churches of Scientology, designed to present the wisdom of Scientology to many millions planet-wide.